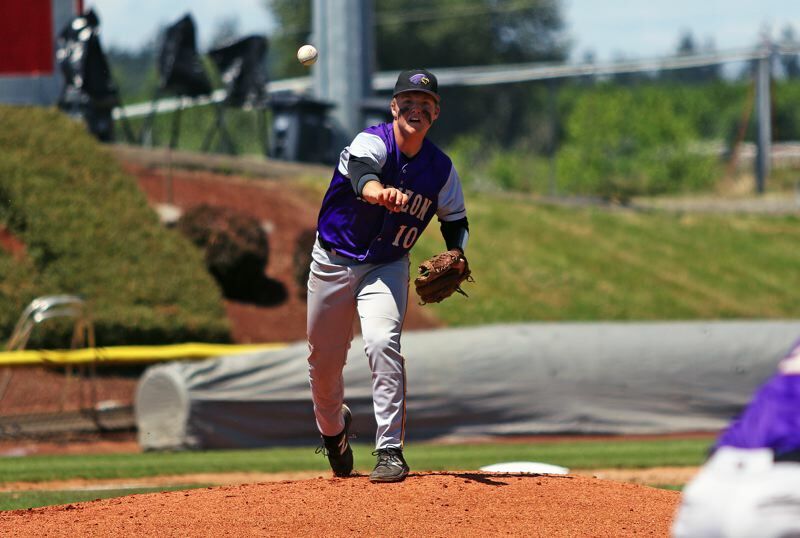 KEIZER — The Horizon Christian High School baseball team got off to a promising start. The Hawks also rallied back strong. They battled, battled and battled some more. But it wasn't quite enough to get them a state championship. 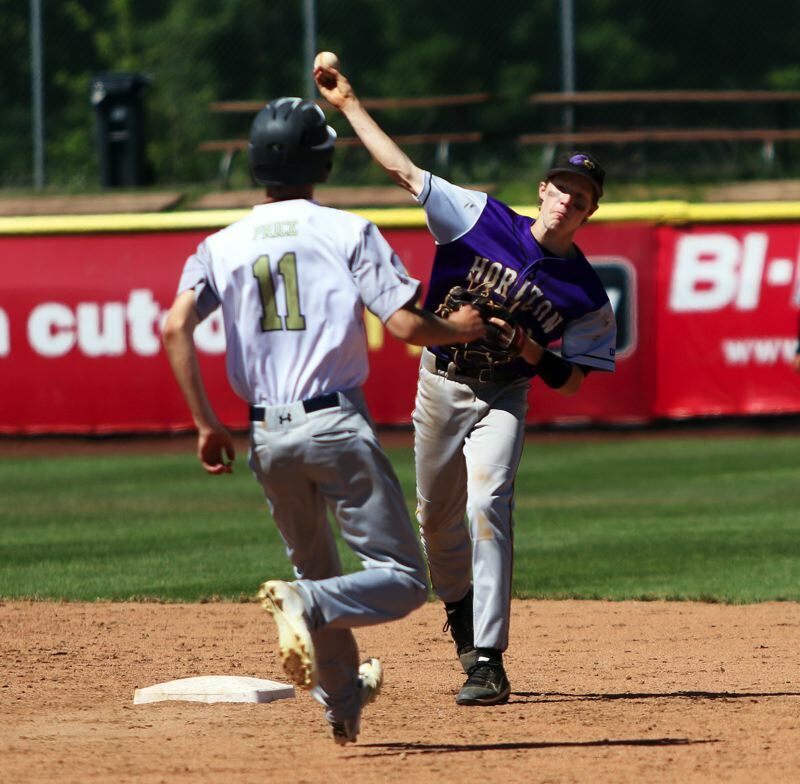 Horizon Christian saw its impressive postseason trek come to an end with a 10-5 loss to La Pine in the OSAA Class 3A baseball state championship game, played Friday at Volcanoes Stadium. 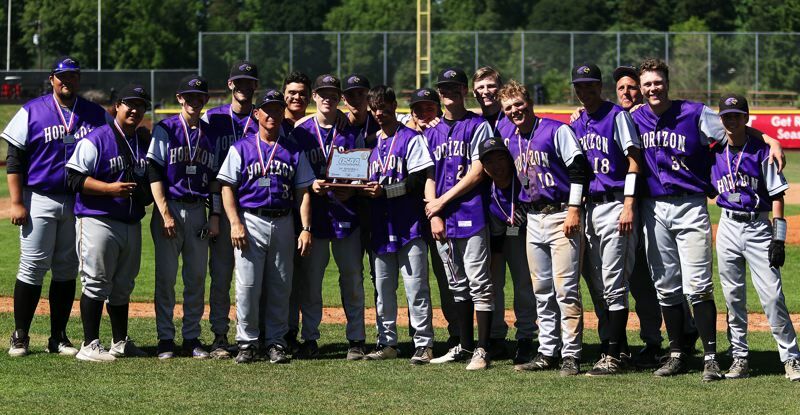 "We were hoping to win, and we came out and tried our hardest," said Horizon Christian sophomore outfielder Sam Romero, as he held the second-place trophy following Friday's game. "We came out with a good approach at the plate, and we just fell short." 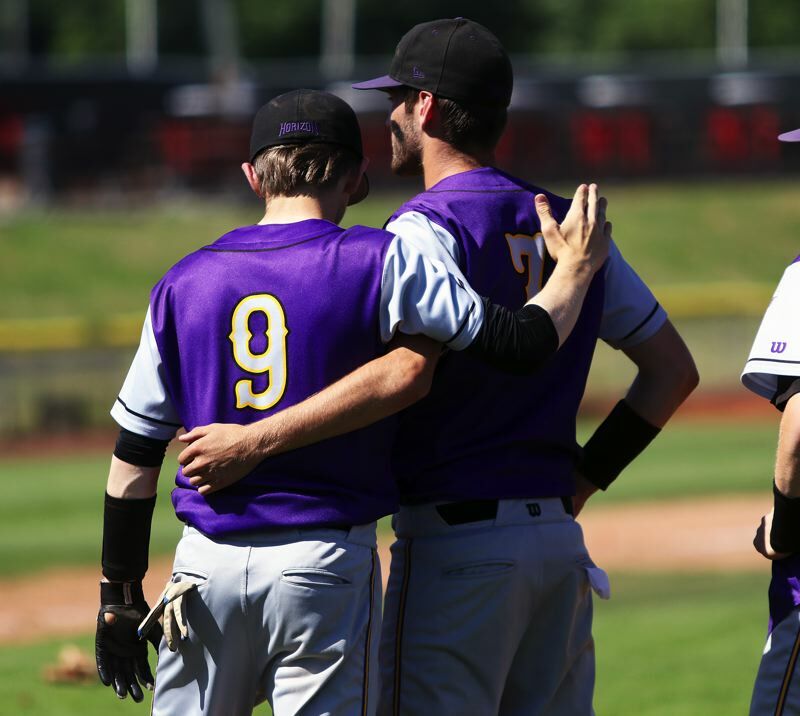 "We're very grateful that we made it this far, and we gave it our all, and they were the better team today," said Horizon Christian junior Luke Klein, who had four hits in the title contest. "They say that there's always a team that's going to come and play better, and they were that team today. Have to hand it to them." "It was a great battle," Horizon Christian senior Nathan Murrell said. "To beat a team like Taft, and to beat us was impressive. I'll give them that. We were the 10th seed, and no one thought we'd get here, but we totally battled it out, and we were one of the top two teams." With the win, La Pine, the No. 2 team out of the Mountain Valley Conference, and the No. 4 seed in the Class 3A state playoffs, finished its season with a record of 24-4. The victory also came in La Pine's first-ever state championship game appearance. Horizon Christian, the No. 3 team out of the West Valley League, and the No. 10 seed for the Class 3A state playoffs, finished its season with a final mark of 20-8. "It was great," Klein said. "We battled hard all season. We had a little bit of off part in the regular season, but we came alive in the postseason. We told ourselves that there was nothing that was going to bring us down, or keep us from going." "It was absolutely fantastic," Murrell said of the Hawks' season. "We started down in Anaheim, and did really well there. We beat some teams from schools that had 3,000 kids, while we have not even 200. It was an amazing start." 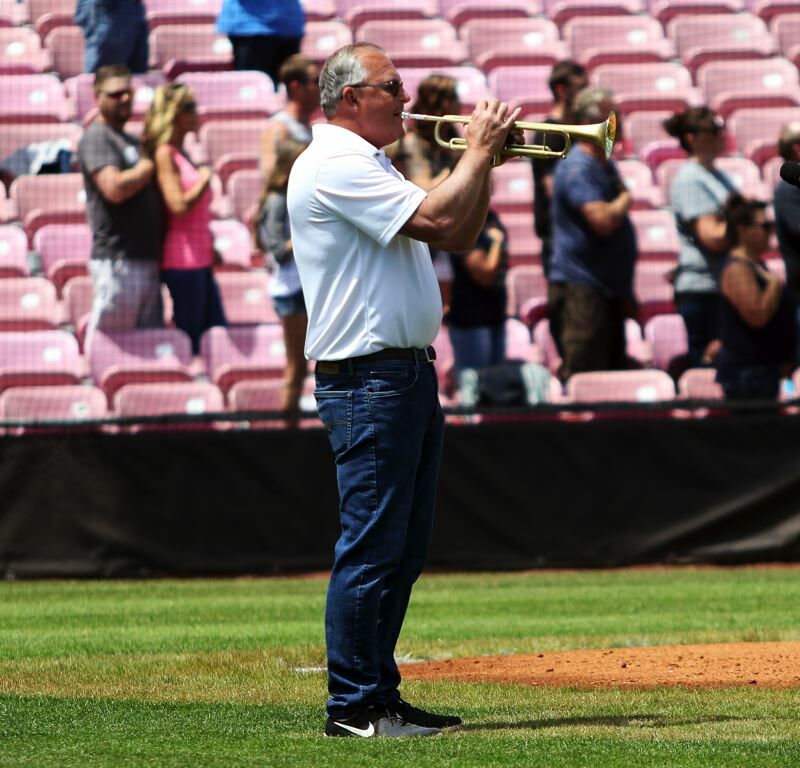 "We kind of started out, not thinking we'd make it as far as we usually did, but we worked hard every day, and we ended up here," Romero said with a smile. Horizon Christian, in Friday's title tilt, got off to a strong start, scoring a run in the top of the first inning. Klein got things going with a leadoff infield single. 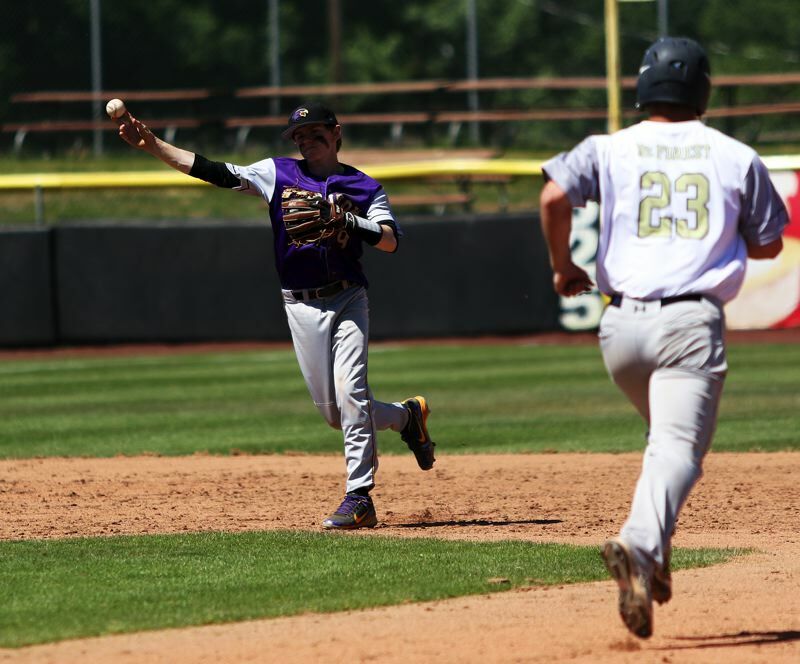 Klein then moved to second base on a sacrifice bunt by sophomore Greyson Pihas, and then he advanced to third on an infield single by senior Brannon Macfarlane. Romero then ripped a single to center, driving in Klein, giving Horizon Christian a quick 1-0 lead. Horizon Christian struck again in the top of the second inning. Sophomore Cade Tillema and Murrell led off the frame with back-to-back singles. 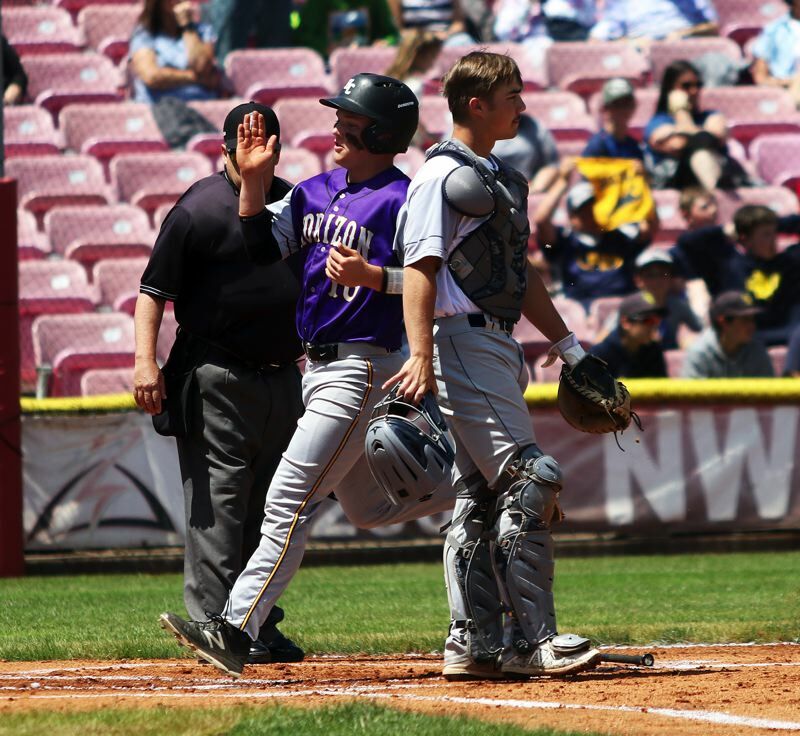 Then, following a fielder's choice bunt by junior Anthony Petit, Klein lined a single to center field, driving in Murrell to up the Hawks' lead to 2-0. But La Pine answered back in the bottom of the inning. Senior Wyatt DeForest tripled to center field to lead off the frame. Senior Angelo Roes then drew a walk. Senior Eddie Price then doubled to center field, with Horizon Christian then committing two throwing errors. DeForest, Roes and Price all came around to score on the play, giving the La Pine Hawks a 3-2 lead. La Pine upped the margin to 4-2 in the bottom of the third inning, when DeForest hit a solo home run to left field. La Pine, getting RBI singles by freshman Alex Farnsworth and DeForest in the bottom of the fourth, pushed the margin to 6-2. But that's when Horizon Christian started battling back. Romero got things going for the purple-clad Hawks in the top of the fifth inning with a one-out single to left field. Romero moved to second base on a passed ball, and then advanced to third on a single by junior Cole Armstrong. Romero then scored on a groundout by senior Nathan Brucker, cutting the La Pine lead to 6-3. Horizon Christian got even closer in the top of the sixth inning. Murrell, leading off the frame, was hit by a pitch. He moved to second on a sacrifice bunt by Petit, and then scored on Klein's single to center field. Pihas followed that with a single to right field, with Klein moving to third on the hit. Klein then scored on a squeeze bunt by Macfarlane, trimming the La Pine lead to 6-5. But Horizon Christian couldn't get any closer. La Pine, with DeForest continuing his big day with an RBI single, scored four runs in the bottom of the sixth inning to up its lead to 10-5. 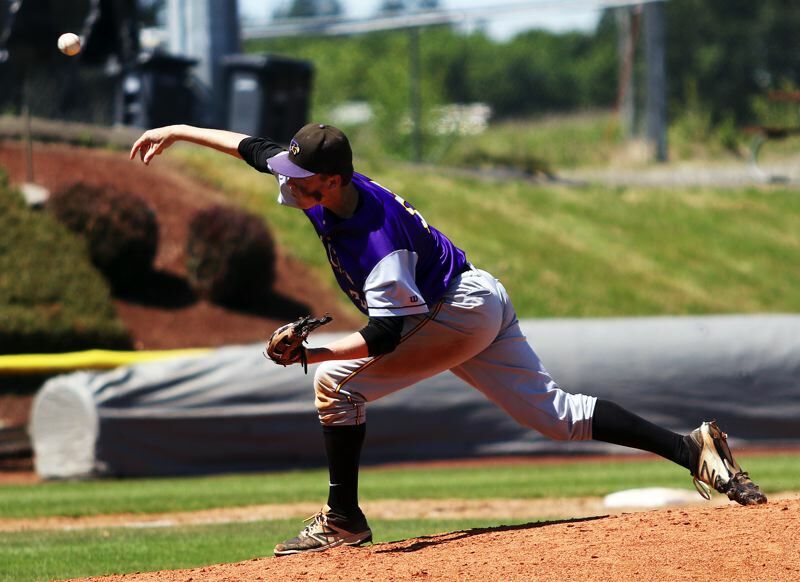 DeForest, pitching in relief for La Pine's Hawks, then put Horizon Christian down in order in the top of the seventh inning to wrap up his team's 10-5 victory. "It just came down to little errors," Murrell said. "We both wanted it." Horizon Christian, as a team, had 11 base hits in the game, compared to nine for La Pine. Klein helped lead the way for the Horizon Christian offensive attack, going 4 for 4 at the plate with two runs scored and two RBIs. "It was very fun," Klein said of the championship contest. "We were the No. 10 seed coming in, but we knew we could do it. We knew that, it's not the matter of the seed, but it's the matter of the heart, and we had the heart. We got to the show." Also for the Hawks, Romero went 2 for 3 with a run scored and an RBI. Murrell had a hit and scored a pair of runs. Macfarlane had a hit and drove in a run. Pihas, Armstrong and Tillema each had a hit. Brucker drove in a run. "It was a great, great season," Romero said. For La Pine, DeForest went 4 for 4 at the plate with a double, a home run, three runs scored and three RBIs. He also pitched the final five innings in relief, getting the win on the mound. Price went 2 for 2 with a double, a run scored and three RBIs. Other players on the Horizon Christian team include senior Matt Brennan, sophomore Kazuki Yokomizo and freshmen Carter Eldridge, Justin Peterson and Coby Mattila. Brad Pihas is Horizon Christian's head coach.